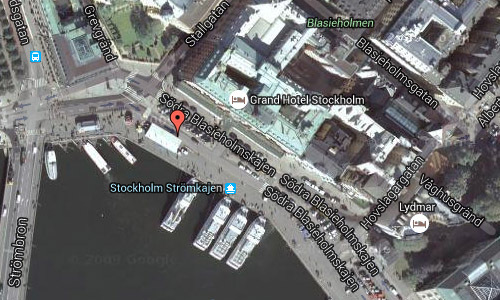 Södra Blasieholmskajen, Strömkajen or Södra Blasieholmshamnen is a quay and a street in Stockholm, which stretches from the Strömgatan and Stallgatan to the west to Skeppsholmsbron in the East. 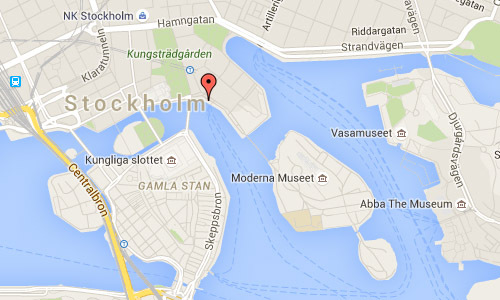 Strömkajen is the center of all Waxholmsbolagets boat traffic from Stockholm to the archipelago as well as a base for many sightseeing boats. Southern Blasieholmshamnen got its name in 1876 and replaced the designation Blasieholmshamnen. 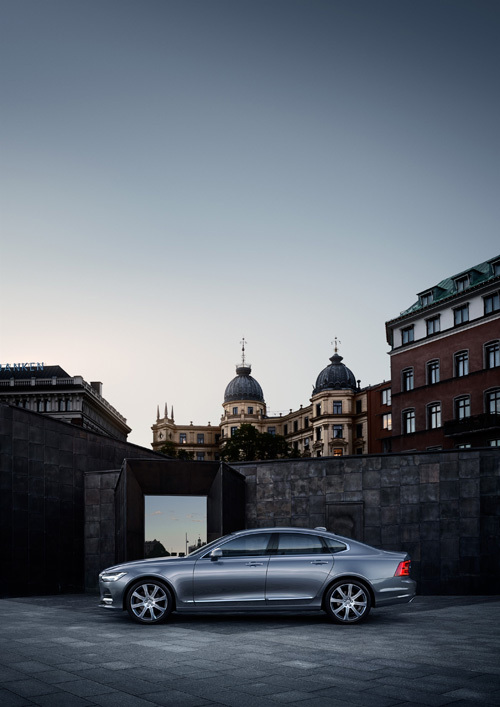 The new smal building behind the Volvo S90 car is the new building for boat tickets of Waxholmsbolaget and Strömma Kanalbolaget, created by Marge Architects. 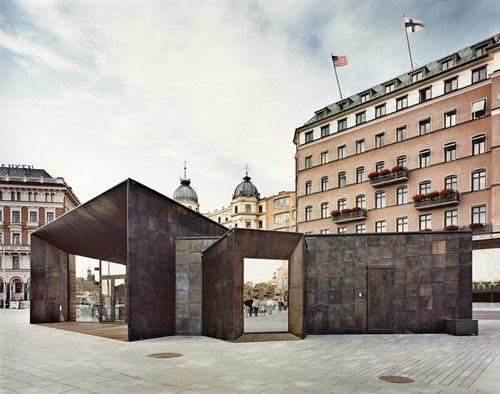 “The big challenge in this project is that in one of Stockholm’s most important cultural environments create an architecture with its own identity while submitting to the surrounding parade buildings. 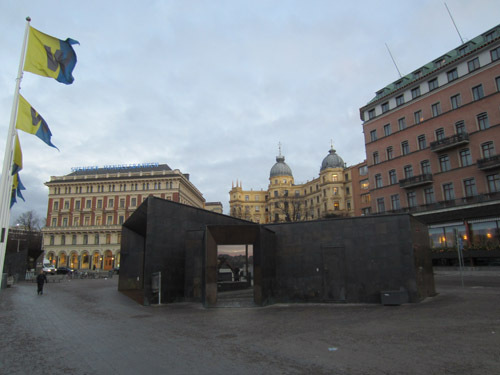 The starting point of the proposal is to create buildings but back in the scale and design are perceived more as a piece of furniture / sculpture on the quay than a traditional building. 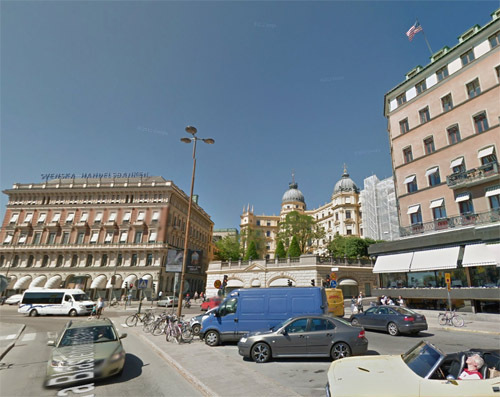 Places to visit here are the HQ of Svenska Handelsbanken (in Palmeska huset), Grand Hôtel, Bolinderska palatset, Burmanska huset (in Burmanska palatset), Nationalmuseum and Lydmar Hotel.